Few things allow you to step into another world like a good book. However, independent bookstores in North Dakota offer much more than a good book to read. Some feature homemade candles while others offer a collection of cool toys and other gadgets. 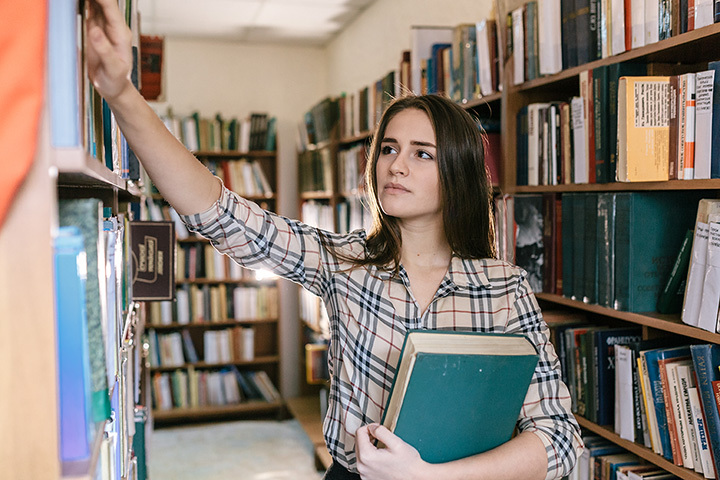 Whether you’re looking for a copy of your favorite classic, or seeking a new adventure, these 10 bookstores in North Dakota will start you on your journey. The Owl Bookstore has a wide variety of used books in virtually any genre you are interested in. The store also carries a small but varied array of household items, collectibles, and tchotchkes. Zandbroz is part book-store, part specialty store. The bookstore carries both new and used books with a strong selection of works by local artists. Author readings and book signings are regular occurrences. If you are looking for more than books, the variety side of the store carries everything from homemade candles and art work to clothing and home décor. Fargo’s newest bookstore has quickly established itself as a player in the industry. Most books are priced at a 1/5 of the publisher’s price (hence the name), with several books priced even lower. All genres are represented in their varied stock. The store also purchases books for store credit. At Books on Broadway you will find an engaging collection of used books, toys, gadgets, and small housewares. The store’s primary focus, however, is books, and they have plenty to choose from. With a large collection of both new and used books and other media, Ferguson Books is worth a stop when visiting Grand Forks. Books can also be traded for store credit. Ferguson prides itself on its ability to find exactly what you’re looking for—each time you visit. Main Street Books carries a wide variety of new and used books as well as the hottest toys around. With readings and special events that cater to the entire family, a visit to Main Street will gratify all ages in your group. Much more than just a used book store, Sweets ‘N Stories is as known for its eatables as for its literature. With a menu that includes homemade fudge, sandwiches, soup, ice cream and espressos and a wide variety of books that includes all genres, a visit to Sweets ‘N Stories will leave both your mind and your tummy satisfied. If you are looking for books, toys, puzzles, or games, Book World is the place to shop. The store offers a bit of everything, with much of their stock available online as well. Book World also carries used text books, which can be of great help your pocketbook if you are a student. Events and author readings are held throughout the year, so check the store’s calendar if you are planning a visit. For the collectors out there, a visit to Juke Joint may be just what you are looking for. With the widest collection of comic books, action figures, and games in the area, Juke Joint is perfect for those who want to step back in time or add to their personal collections. If they don’t have what you are looking for, they will help you find it online! BDS Books is the largest used bookstore in the Red River Valley. One step inside and you will understand why it is called the most authentic in the area as well. Complete with the traditional bookstore cat, you need to be careful when visiting BDS or you will get lost for hours.